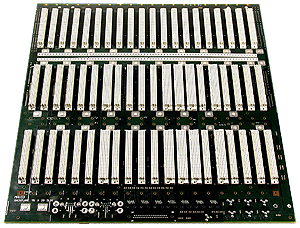 VME enjoys a strong, stable ecosystem, particularly in many of the areas involving x86 compute blades, I/O, digital signal processing, and areas requiring custom design. It also enjoys some cost-effectiveness due to its wide adoption in over 400 defense programs as well as in industrial automation. Its origins in the defense industry have resulted in a rugged form factor as well, one that can withstand demanding environments and is particularly useful in real-time compute applications of immediate importance to the end user. Crucially, mixed VME/VPX/VSX backplanes are an option, resulting in a convenient upgrade path between VME and VPX.